Sunworker acts as a true thermal filter through the reflection and absorption of solar energy. The thermal protection offered by our blinds has been measured in terms efficiency with a minimum sun factor of 0.06. Sunworker offers thermal and visual insulation both in summer and in winter. Its level of efficiency can be measured using the sun factor: the lower the sun factor, the more optimal the comfort. Soltis ® 86 - Eliminating up to 86% of the suns' rays. Soltis ® 86 is a compromise between necessary solar protection and the need for more light and external visibality. Especially appreciated when applied to homes or buildings with beautiful views. 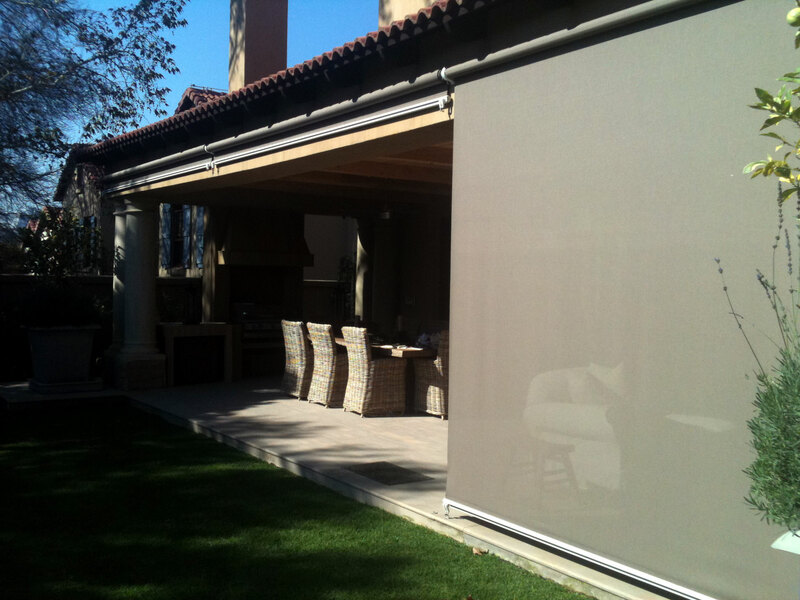 Sheerweave is a 100% polyester fabric suitable all drop blinds, Drop arms and Foldarm awnings. There are 12 modern colours to choose from and has a 5 year warranty. Weight: 488 grams per metre. Awnings for sun protection, patio shades and tents... The new orchestra by Dickson Collection reflects the no made, no limit spirit. With a total of 197 designs, this is the largest range of outdoor awnings currently Available on the market. The use of materials is innovative and the selection of stripes And colours is second to none. Authentic, classic chic or designer, orchestra allows Your imagination to run wild. Using an ultra-resistant high tech material, orchestra 2008 provides unrivalled Performance, incorporating UV protection, light filter and natural air conditioning... Representing superior French quality in 100 countries, orchestra 2008 has become Symbolic of the expertise of Dickson, the leading supplier of outdoor-indoor fabrics In the world.